Happy St Patrick's Day from Wild Lake Press! Our Show and Sell Goodreads giveaway is wrapping up at midnight tonight, and our Amazon giveaway is going on until March 23. See below for details. Get in now and watch for future giveaways. 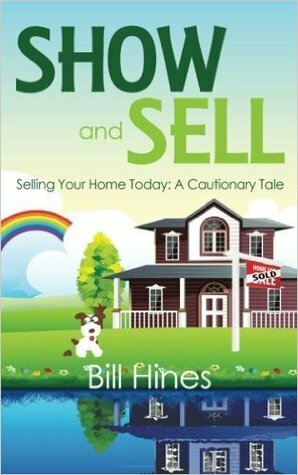 See this #AmazonGiveaway for a chance to win: Show and Sell: Selling Your Home Today: A Cautionary Tale. https://giveaway.amazon.com/p/04293598ecf4b2ce NO PURCHASE NECESSARY. Ends the earlier of Mar 23, 2016 11:59 PM PDT, or when all prizes are claimed. See Official Rules http://amzn.to/GArules. The exciting news from December and January is that Wild Lake Press has published two more DataPower Handbooks. Volume IV "DataPower B2B and File Transfer" published in December and Volume III "DataPower Development" published yesterday, January 12. Both are much larger than the previous Handbooks, given their extensive topic coverage. The product page for each on this website (Books-->Information Technology) has the full description and a link to purchase each. It was exciting to see Show and Sell at the #1 position in Amazon Best Sellers in the Real Estate category recently! Please help us by writing a review if you enjoyed the book, and recommending it to your home buying/selling friends via Facebook, Twitter, and other social media. We have some upcoming promotions for Show and Sell beginning December 24, 2015 through December 31. One is Kindle Countdown, where the eBook will start out at 99 cents and gradually increase back to its retail price of $4.99 throughout the week. Also, we are working on the audiobook version of Show and Sell, which will be available on Audible/ACX and iTunes. Finally, our author teams are in the final stages of the DataPower Handboook Volumes III (DataPower Development) and IV (DataPower B2B and File Transfer). Look for them soon!